If you have ever lost a loved one, you have most likely experienced grief. Grief is an intense feeling of sadness or sorrow. It is generally brought on by the loss of something or someone. The end of a long-term relationship, like a divorce, or the death of a family member may cause grief. Grief is not always thought of as a full-body experience. But just as grief can affect mental health, it can also have physical aspects. Physical symptoms may not come with every kind of grief. 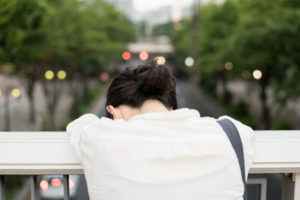 But intense grief—for example, that caused by the death of a child or partner—can bring about side effects that may feel more physical than anything else. Grief can trigger a number of mental health symptoms and issues. These might include depression, loneliness, and anxiety. The line between the grief period and a mental health issue may be hard to define. It can help to consult a trusted therapist or counselor if you are having trouble with grief or similar feelings. Knowing which symptoms of grief to watch for may allow you to soothe and address any effects you experience. Heart problems can be brought on by intense stress in a variety of situations. But there are particular heart risks associated with grief. One study found the death of a loved one to increase a person’s chance of a heart attack. There’s also a specific temporary syndrome brought on by the death of a loved one called takotsubo cardiomyopathy, or “broken heart syndrome.” Broken heart syndrome is caused by a disruption in the blood being pumped to one section of the heart. Because of this, it mimics the effects of a heart attack—chest pain and shortness of breath—but is temporary. People with broken heart syndrome can undergo treatment for it. They may also choose to wait for the syndrome to reverse itself in a few weeks. It is important to note that if you experience chest pain or shortness of breath over a long period of time, you should consult your doctor for deeper causes. This is true for any other severe or long-lasting physical effects of grief. Some people catch colds or come down with the flu during times of immense stress. They may notice they are more susceptible to these same ailments during a period of intense grieving. This is because in adults, grief can lower the immune system. A 2014 study found that older adults experiencing grief, specifically due to the loss of a spouse, could not maintain a stress hormone balance. As a result, they experienced reduced neutrophil function. This means that during the grieving process, older adults are less likely to produce some types of white blood cells, leaving them prone to infections. Aches and pains are a common physical symptom of grief. Grief can cause back pain, joint pain, headaches, and stiffness. The pain is caused by the overwhelming amount of stress hormones being released during the grieving process. These effectively stun the muscles they contact. Stress hormones act on the body in a similar way to broken heart syndrome. Aches and pains from grief should be temporary. If they persist over the long term, consult your physician. The digestive tract can be sensitive to times of intense stress. It can be all too common to seek comfort in food during stressful periods or to experience a queasy stomach when anxious. Grief inspires these symptoms and others, such as a loss of appetite, binge eating, nausea, and irritable bowel syndrome. Knowing these symptoms are caused by grief can help alleviate them. When you feel an urge to eat when sad or notice you haven’t eaten all day because of that same sadness, it can be a good indicator to call a trusted friend or licensed mental health professional to set up an appointment. Overeating or not eating enough during the grieving process is only one unhealthy coping mechanism people may experience. Some can be more harmful than others. People may turn to alcohol or cigarettes, the overuse of which can have long-lasting effects on the liver and lungs. Others may engage in self-harming behavior, drug use, or other high-risk behaviors. All of these coping mechanisms can have intensely damaging, long-lasting effects on the body and brain. If you find yourself frequently engaging in behaviors like these to cope with grief, it is crucial you reach out to a trusted friend or licensed professional for help. A 2017 study found that spouses who were bereaved by suicide had a higher risk of developing sleep issues. Sleep is supposed to be when the body and brain rest and repair themselves. Sleep disruption during grief can be especially frustrating. It can be debilitating to constantly feel both sad, anxious, and exhausted. Insomnia can be a common occurrence in those who are grieving. But it should only be temporary. A continued inability to sleep regularly or feel rested should be reported to your doctor. Many people aspire to finish grieving and move on with their lives in a healthy way. But some may find this is harder than expected. It is possible for grief to become a cycle. Sometimes memories of loss or of a lost loved one may light up the reward receptors in the brain. This means that moving on or “letting go” can be much more difficult. Those memories and the grieving process can feed into an addictive feeling. A cycle of grief can take a toll on a person’s physical and mental health. Continuing the grieving process for a long period of time means a person’s risk for long-term health problems is increased. What could have been a short-term symptom—chest pain, stomach aches, or sleep problems, for example—can manifest in much more serious ways. These could include heart disease, eating disorders, or chronic fatigue. It is important to seek help if you need it to regulate your mind-body connection. What gets thrown out of whack during the grieving process can, in fact, get back on track. Building a healthy routine can be a first step to mitigating some of the physical symptoms of grief. 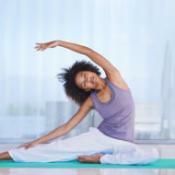 Regular exercise and a nutritious diet can help with pain, heart risks, digestive issues, and sleep patterns. Talking about grief with family and friends or a licensed mental health professional can help address the grief directly. Doing so may also foster the development of healthy coping skills. It is important to remember you are not alone. Asking for help may an important step during the grieving process. It can take time to heal, and that is normal. Grief cannot be rushed. But with love and compassion from family, and the help of a therapist, grief can come to an end. You got me when you said that grief can cause you to lose your appetite due to intense stress. This is probably the reason why my sister has lost so much weight when her husband passed away. She said that she couldn’t find a reason to keep herself healthy, so I’ll be sure to find a funeral home that offers a grief support.